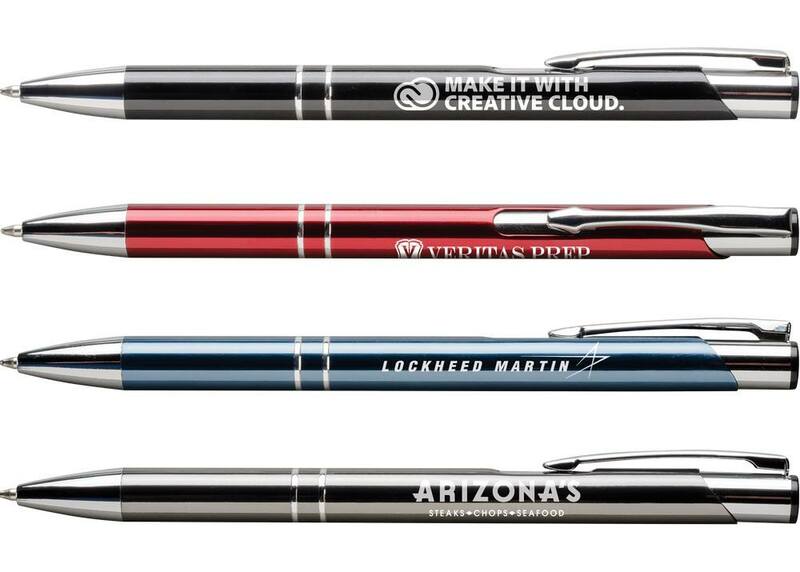 The Sonata Glass Pen features glossy finish in attractive corporate colors and creates a nice choice for Promotional Logo’d Products to Promote your Brand. 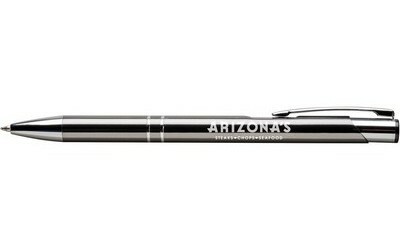 Establish a never ending promotional routine with this impressive Sonata Glass Retractable Ball Point pen! 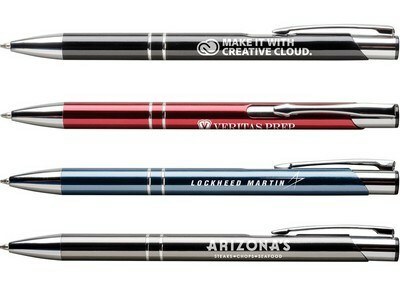 This promotional metal pen, with its strong shimmery barrel colors, adds class to any writing job. Shining silver accents add a unique touch to the glossy finish in attractive colors. This retractable pen comes in an impressive range of sophisticated colors. 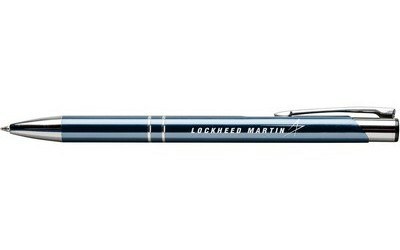 It allows smooth and effortless writing with medium point blue ink. 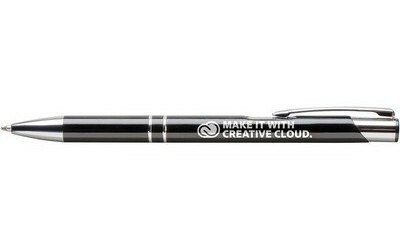 You can easily add your brand logo and other details to customize this pen for a eye-catching corporate giveaway item at the upcoming trade show or promotional event.